Pay Increases: How to say no! It’s something that every Manager has had to face at some point their career – that moment when an employee sits down and asks for a raise. Now in a perfect world, when a high performer has this conversation with you, it would be as simple as grabbing your golden cheque book and signing on the line – but we all know that world is definitely not this one! So how do you manage the situation when an employee asks for a pay increase? Why does s/he feel they are entitled to a pay increase? Maybe their workload has increased, or they have taken on new responsibilities? Perhaps they feel they are being underpaid relative to the market, or relative to other employees? Whatever their reason may be, it’s important to let the employee feel heard and to gain insight into their mindset when it comes to financial reward. You don’t need to give an immediate answer to the employee’s request, and in many cases it’s best not to, even if you have the authority to make this decision alone. Inform the employee that you will consider the information they have given you and that you will come back to them with an answer as soon as possible. This way, you’re not saying an instant ‘no’, which can often give the impression that the employee isn’t valued enough to even have their request considered. Instead, use the time to check the facts and/or engage an organisation like Talent Code to conduct a Remuneration Review for the business. It’s important to give an employee more than a ‘no’ or a ‘yes’ in these situations. Providing a rationale for your response (be it business finances, performance or other reasons) shows respect for the employee and their request, whilst giving you an opportunity to be open and honest about the business’s performance, the employee’s performance and/or other matters. 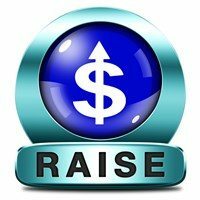 Be open with the employee about what you (or the business) needs from the employee in order to justify a pay increase (for example – a revenue increase in their department). Wherever possible, end the meeting on a high note by reinforcing the employee’s value to the business – this way, even if the response isn’t what the employee wanted to hear, they are still able to leave the meeting with pride and dignity intact, and with a feeling of appreciation. Where do your Managers go to get information about employee issues and managing difficult conversations with employees? Are you sure they have the support to make the right decisions and say the right thing? HR On-Demand’s Director level consultants provide Managers with advice every day on managing people issues, compliance, Modern Awards, legislation and much more. Want to know more? Call us on 1300 55 99 62 or email hrondemand@talentcode.com.au.